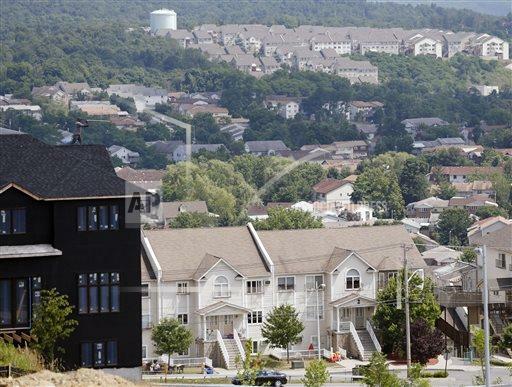 Kiryas Joel, NY - Hoping to find a way to allow its residents to conduct their lives without the scrutiny of outsiders, the Village of Kiryas Joel announced plans on Tuesday to legally separate itself from the Town of Monroe with the creation of a new town called North Monroe. The new town, located north of Route 17, would encompass the existing Village of Kiryas Joel and would also include parcels of land totaling 382 acres in size, according to the Times Herald Record. State law requires a petition signed by a minimum of 650 town residents to create a new town. The proposal would require a two thirds approval approval by the Orange County Legislature before being submitted to a voter referendum in the Town of Monroe. If approved, the new town would remove the powerful Kiryas Joel voting bloc from all elections in the Town of Monroe. Kiryas Joel’s administrator Gedalye Szegedin called the proposed new town a practical way to eliminate concerns that Kiryas Joel voters have too much influence in town issues. “We firmly believe that this is an important step in the healing process for these two communities,” said Szegedin. Convers criticized the proposal, saying it would bring thousands of high density apartments and tens of thousands of additional residents to Monroe. While those residents might not have the ability to vote in local elections held by the Town of Monroe, they would still be an influential block vote in any countywide elections. Ari Felberman, government relations coordinator for Kiryas Joel, said that the idea for separating Kiryas Joel from the Town of Monroe was proposed by former Assemblywoman Nancy Calhoun years ago. In an April 2016 Journal News editorial, Kiryas Joel school superintendent Joel Petlin recommended that the troubled East Ramapo School District look north to Kiryas Joel to solve its problems by splitting into two separate districts. Felberman acknowledged that some will portray the proposal as another attempt by Kiryas Joel to gain more land for its growing community as its highly contested annexation bid awaits a decision by the New York State Supreme Court. A moratorium on new construction has halted the development of five new housing developments in the Town of Monroe. According to the Photo News, residents of both Blooming Grove and South Blooming Grove have been receiving unsolicited offers to sell their homes, with additional construction and home purchases by members of the Chasidic community taking place in Woodbury. Ms. Convers is right, this must be stopped immediately in its infancy, unless Cuomo (who gets millions from KJ, the "poorest town" in America) lets that influence him . Why does Satmar insist on antagonizing these real patriotic Americans in Monroe. That's right. Separate from Americans who follow laws and pay taxes and who allow women to drive and children to learn English. We just finished the 9 days of mourning, and the hate from within is spilled all over the web, Shame on you so called human loving bloggers. I live in Airmont and would love to have someone make me an offer I couldn't refuse for my home. It seems wrong to build new ghettos. It's very clear however, that Emily Convers doesn't want Jews anywhere!!! She just about says it! “another sneak attack by the KJ leaders to grab land.” what is sneaky about this they sent a public proposal. Kiryas Joel is “an illegitimate municipality who consistently violates municipal and environmental laws.” Which is why they want their own municipality with its own rules. As for environmental that is a federal issue and has nothing to do with this conversation. The funny thing about Emily position is she thinks for some reason putting restriction on Kiyras Joel will restrict its growth. That is not what going to happen the Village will continue to grow one way or another. Either by building within their self contained town or they will simply buy out the residents of Monroe that's just how capitalist real estate markets work. Happens all the time. Shame on you. I am Emily Convers, and every reason I have ever listed for being opposed to the corrupt government of Kiryas Joel obtaining more land has been environmental. Making this about religion cheapens the discussion and also creates a "boy who cried wolf" situation. What will happen when real antisemitism occurs? No one will believe you because you have cried wolf too many times. The real issue here is sustainability. This is not just a separation. Kiryas Joel could separate into a new Town now using the existing borders. This is about separating and taking hundreds of acres to build high density housing which the environment cannot sustain. The Ramapo River is already in trouble as a result of the wastewater and salt emanating from the KJ processing plant which has seen multiple EPA and DEC violations.These are facts. Accusing me of being antisemitic is as low as a person can get. I'm a mother and a wife and an outspoken member of my community who wishes to create a sustainable future for all of the citizens in Monroe and Orange County, including the citizens of Kiryas Joel, whose leaders couldn't care less about the quality of their lives. No one should be able to build "whatever they want". There is a law in NY State called the "State Environmental Quality Review Act" which requires that any municipal action must be scrutinized with regards to environmental and fiscal impacts. Kiryas Joel has yet to do so and as a result are serial violators of environmental law. This is NOT a federal issue. This is a local and state matter. The DEC is a State Agency and has issued multiple violations to the Village of KJ. If we want a sustainable future, we cannot all just build "whatever we want". We must look at the big picture. In addition, I am not trying to restrict anyone's rights for their families to grow. KJ could have tried to become their own municipality anytime they liked using their existing borders. KJ wants to take over 300 acres of rural, residential land into their new municipality of North Monroe which would mean thousands of high density apartments and over 40,000 additional people in Monroe within a few short years. This has impacts which are measurable and serious. You only need to look at Rockland County and the friction and unrest there to understand why this unsustainable. “ Shame on you. I am Emily Convers, and every reason I have ever listed for being opposed to the corrupt government of Kiryas Joel obtaining more land has been environmental. Making this about religion cheapens the discussion and also creates a "boy who cried wolf" situation. What will happen when real antisemitism occurs? No one will believe you because you have cried wolf too many times. With all due respect Emily, did you also create an org. to halt the growth of Woodbury Commons? why not?? cause its not Jews who are behind the shopping center? I don't believe that your only issues with KJ growth is because your environmental concerns.